Argentine football legend Diego Maradona was released from the Clinica Olivos on Sunday, his representative said. “Diego Maradona has just been released and is heading home to continue his recovery. Thanks to the medical personnel and nurses of the clinic for their professionalism. Diego wants to thank all those who were concerned about his health,” Matias Morla, Maradona’s representative and close friend, wrote on Twitter. 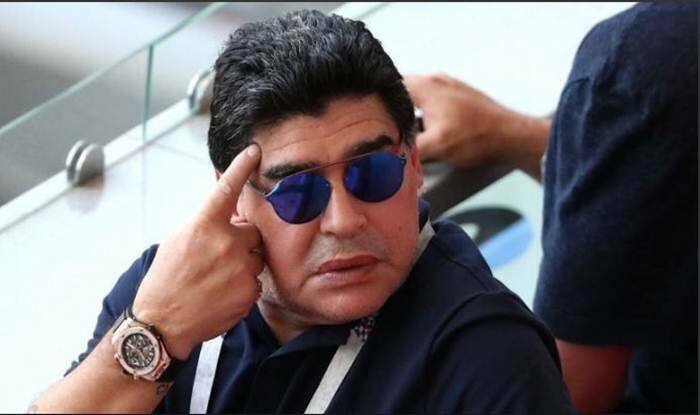 The 58-year-old Maradona underwent successful surgery on Saturday for minor stomach bleeding at the clinic outside Buenos Aires, Efe reported. After a series of pre-surgical tests, the operation was completed in an hour for a “small intestinal eventration,” the result of a gastric bypass that was carried out in Venezuela in 2015. The former Argentine national team star had a similar procedure 10 years earlier in Colombia. Maradona plans to rest for two days in Buenos Aires before returning to Mexico, where he coaches the Second-Division Sinaloa Dorados soccer club.